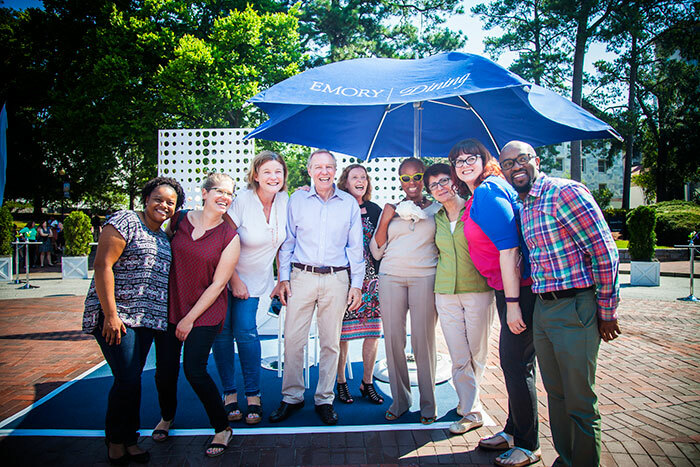 Emory students, faculty and staff filled Asbury Circle on Friday for a block party welcoming President Claire E. Sterk into her new role. 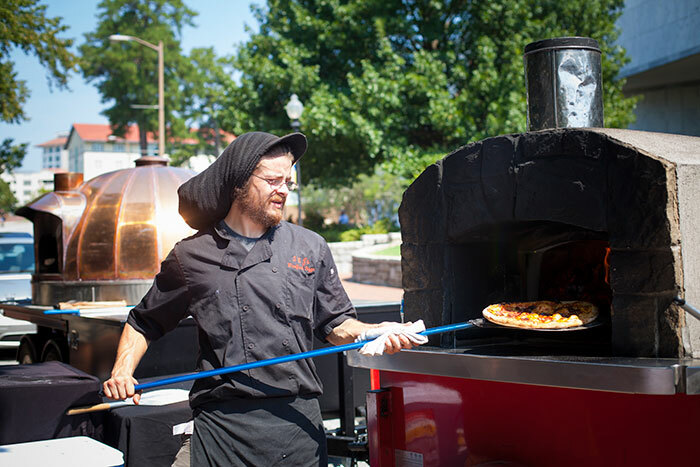 As the lilting strains of a live jazz combo and the heady aroma of wood-fired pizza filled the air, well-wishers queued up for a chance to greet Sterk and her husband, Kirk Elifson, a research professor in behavioral sciences and health education at the Rollins School of Public Health. 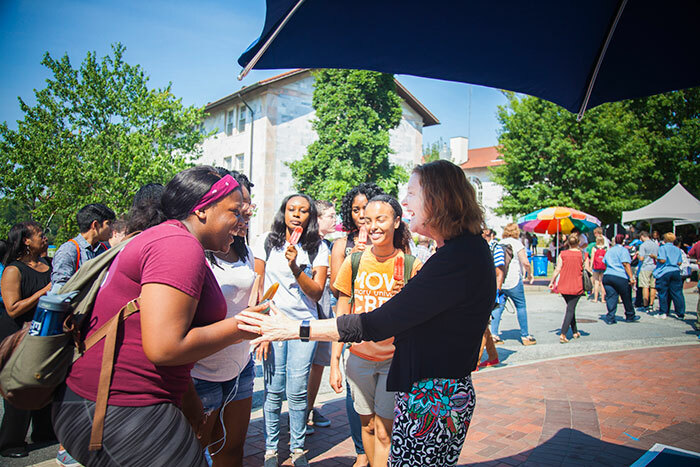 Smiling and chatting with others in line waiting to meet Sterk, Jennifer Crabb Kyles 98OX 00C couldn’t hide her feelings of happy anticipation at the chance to shake the hand of Emory University’s 20th president. 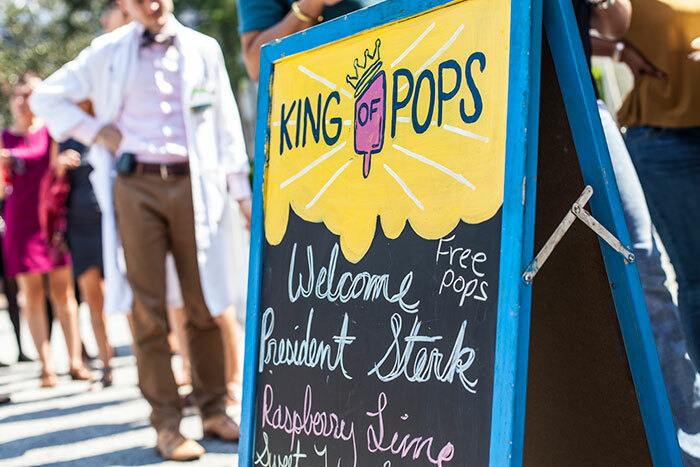 For Mansi Maini, a junior in Emory College, the chance to enjoy a cool King of Pops treat on a warm day was overshadowed by the larger meaning of the event — an opportunity to come together to celebrate the new face of leadership at Emory. 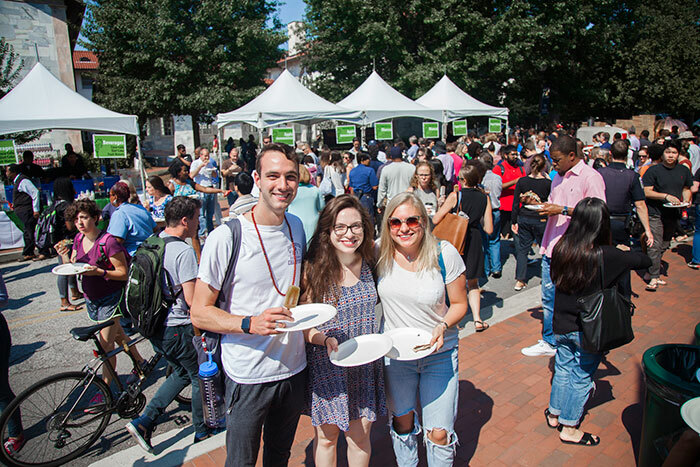 A current of excitement pulsed through the crowd, as the community lined up for free pizza (330 pies were served by S & J’s Woodfired Pizza), hundreds of Coca-Cola beverages and King of Pops popsicles. 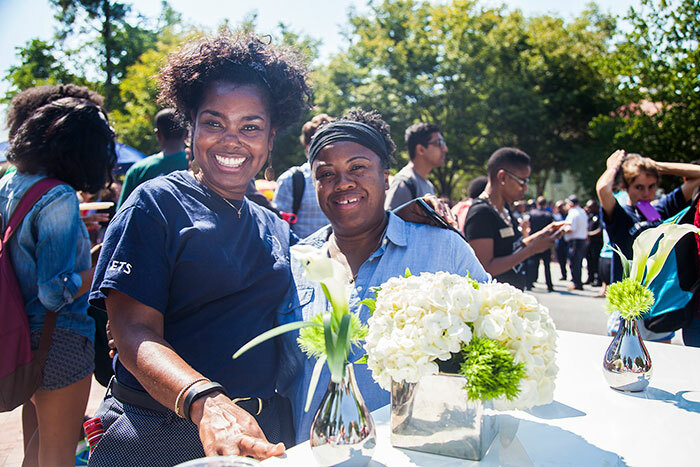 “The mood is festive and fun, almost like a family reunion,” observed Obse Ababiya, a program coordinator at the Emory Institute of Developing Nations in Laney Graduate School. 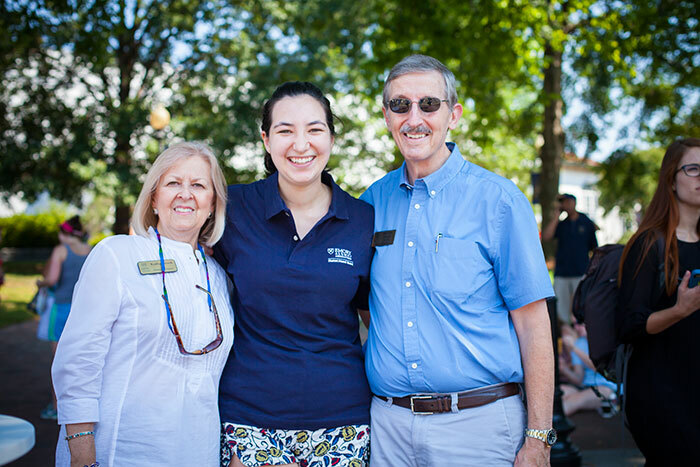 Emory and Oxford College alumnus Warren Brook 70OX 72B and his wife, honorary Oxford alumna Kathy Brook, joined the party for the chance to commemorate what Brook predicts will be “an easy transition” for Sterk, an academic leader and acclaimed researcher in public health and anthropology who most recently served as Emory’s provost and executive vice president for academic affairs. 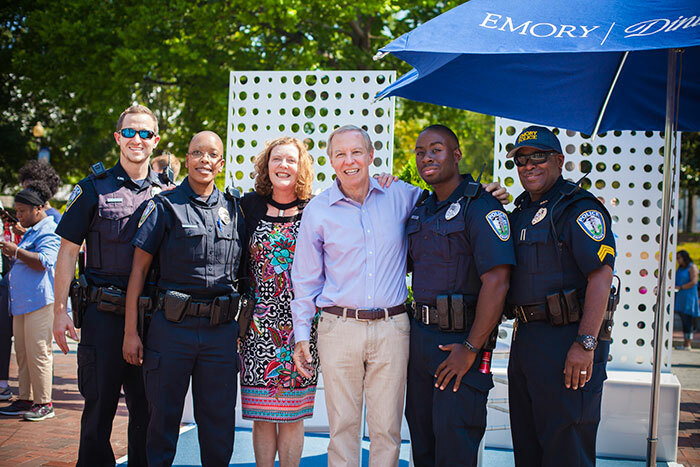 Sterk, who was unanimously chosen by the Emory University Board of Trustees to succeed former Emory President James Wagner following an intensive national and international search, officially assumed her new role on Sept. 1. 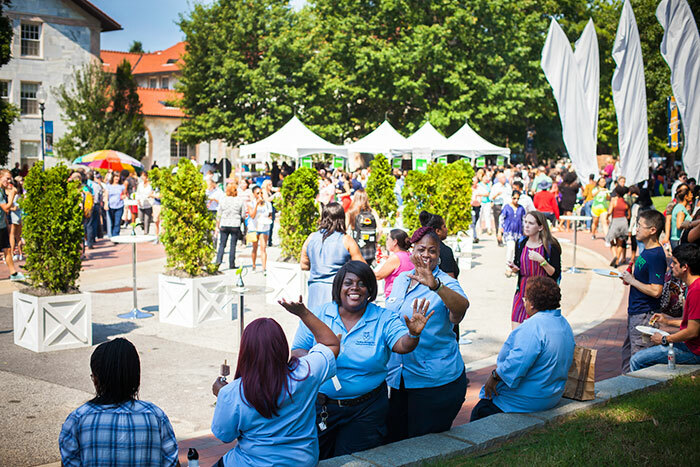 Surveying the generous turnout, the Rev. 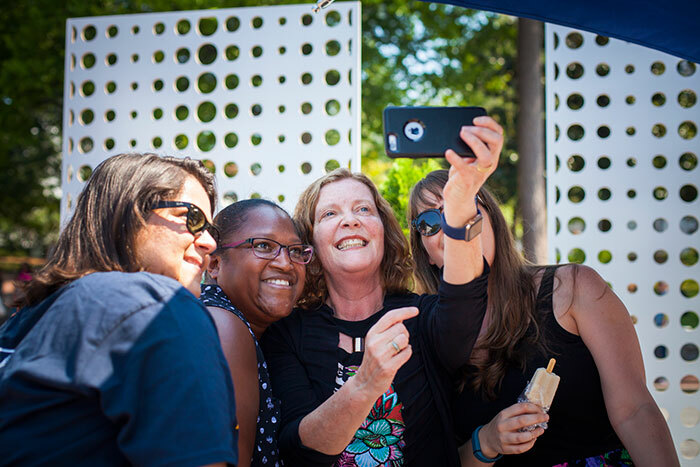 Bridgette Young Ross, dean of the chapel and spiritual life, observed that it was good to have an opportunity to come together as a community “with joy to celebrate Claire being our new president” and to formally mark a historic moment in the life of the University. 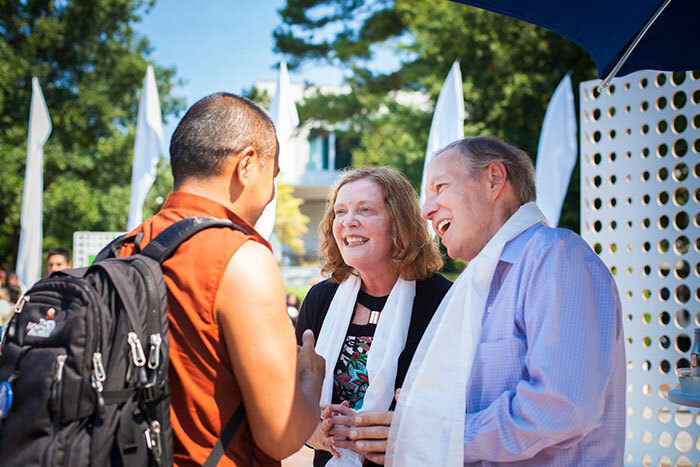 Noting the many capacities in which Sterk has served the University, Philip Wainwright, vice provost for international affairs, said the event provided a chance to embrace a sense of community, excitement and new possibilities.